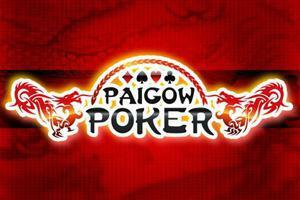 It’s amazing how popular the Pai Gow Poker table casino game is right now. From CoolCat Casino to your favorite Las Vegas casino to places you’ve never been on the other side of the world, Pai Gow Poker is today one of the most popular table games on the entire planet. We tend to take the game for granted, sitting down and thinking it has been here forever. But it hasn’t. As amazing as Pai Gow Poker is, the game is relative new at just over 30 years old. We’re serious. 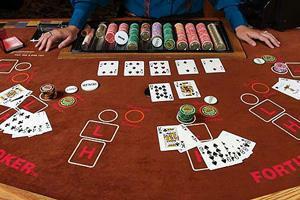 Pai Gow poker was invented in the mid-1980s. To give you an idea, Ghostbusters was already available on VHS by the time Pai Gow Poker was invented. Raiders of the Lost Ark seemed like a distant memory by the time the card game gained popularity. And The Goonies and Top Gun were pretty much competing against Pai Gow Poker for casino players’ entertainment dollars. Before we get into Pai Gow Poker, let’s talk Pai Gow. The tile game can be traced back all the way to the Song Dynasty (we’re talking the 960s to around 1279). The game involved as many as 8 layers arranging 4 tiles into two pairs, essentially creating two hands using tiles. The goal of Pai Gow as (and is) to trump the Banker’s hands and win money. 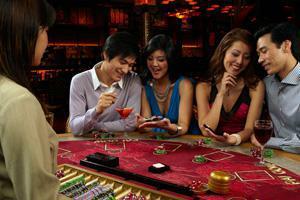 Pai Gow was hugely popular in Asian countries and it remains so to this day. Unfortunately, it wasn’t very popular outside of Chinese gambling establishments, primarily because it’s a bit complex to learn and play. In 1979, just one Las Vegas casino, Caesars Palace, offered the game. And most locals (or those who weren’t’ from Asia) didn’t really care for the game. But in the early 1980s, one American casino manager completely changed everything. Sam Torosian, who owned Bell Card Club in California, was trying to figure out a way to bring wealthy gamblers from Asia to his club. After a casino player from The Philippines showed Torosian Puy Soy, a light bulb went off in Torosian’s head. Puy Soy was a card game from China that invited players to compete against a banker by created poker hands out of 13 cards. Torosian decided to bring the game to his casino, but he found that gamblers found the game to be a little too slow-paced. Torosian decided to mix things up, cutting the number of cards down from 13 to 7, and the number of hands played to just two. The game’s format was attractive to both players and the house. To win even money, players would need to beat both Banker hands. If just one hand was one, it would be a draw, while losing both hands would be a loss. But to make the game even more interesting, Torosian added to additional elements. First, he added a Joker to the 52-card deck. The card acted as a wild card, so players who hit the Joker would have a better chance of winning. He also added poker ranking rules. 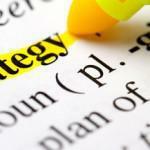 By adding this element, he made the game easy for poker players to learn. It was essentially poker against the dealer, with some minor variations. 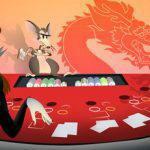 The new Pai Gow Poker was introduced to gamblers on a random Friday with just one table. Torosian was likely prepared for the game to fail or gain a small following. In fact, if it took years to develop a following that would be expected. But that didn’t happen. Just one week later, Bell Card Club had 30 Pai Gow poker tables. And soon, all tables were dedicated to Pai Gow. The game became so popular that the club had to introduce new tables, so many that they ended up almost blocking the front entrance doors and the entrance to the restroom. In fact, they ended up putting a few tables in the hallway to accommodate for overflow. Bottom line? People loved it. It wasn’t long before Pai Gow Poker would take the world by storm. George Hardie, the owner of the Bicycle Club, took notice. He introduced the game to his customers and they flocked to it in droves. From then, it made it was to Las Vegas and Atlantic City, the two main gambling hubs in the United States in the 1980s. It wasn’t’ long before Pai Gow Poker made its way to Asia, providing players with a new game that immediately felt familiar. As amazing as Pai Gow Poker is—as popular as it is—one man didn’t reap the benefits. Today, when you create a casino game, you patent it. If it’s successful, you make a killing. If not, you’re out patent money and whatever it took to develop the game. Torosian invented Pai Gow Poker, but among all the excitement, he failed to patent it. That means all the casinos that picked up Pai Gow Poker didn’t have to pay Torosian for the game. It turns out he got some bad advice. A lawyer told him that a game based on a 52-deck card game isn’t patentable. 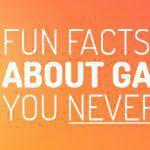 But after the success of Pai Gow Poker, many games were introduced and patented. It turns out Torosian got some bad advice. Want to enjoy Pai Gow Poker from the comforts of home? 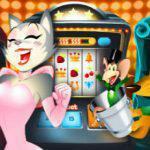 Create a free CoolCat Casino account and you’ll be good to go. In a matter of seconds, you can hit the Pai Gow Poker, place your bets, and win big without having to head to Vegas, your local casino, or the place that invented this amazing game in California. Just download the free CoolCat Casino software onto your Windows PC and you’ll be at the tables in no time. On a Mac? You can play Pai Gow Poker through the Instant Play software, via your web browser. 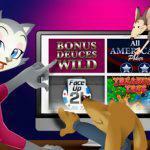 The best part about online Pai Gow Poker at CoolCat Casino is that you can play for free without risking a dime. It’s a great option if you’re short on funds, but if you have a big bankroll, you still might want to try the free tables. That’s because with free Pai Gow Poker, you can practice your game and test out Pai Gow Poker betting strategies without risking any real money. 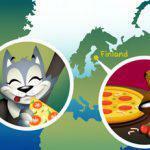 And when you do play for real cash, Pai Gow Poker at CoolCat Casino offers additional advantages. While the minimum bet in the real casino world is usually about $10, $25, or even higher (we’re looking at you, Bellagio, with your $100 tables), you can risk as little as $1 per hand playing Pay Gow Poker Online.